Eggnog and Christmas time are pretty synonymous in my book. 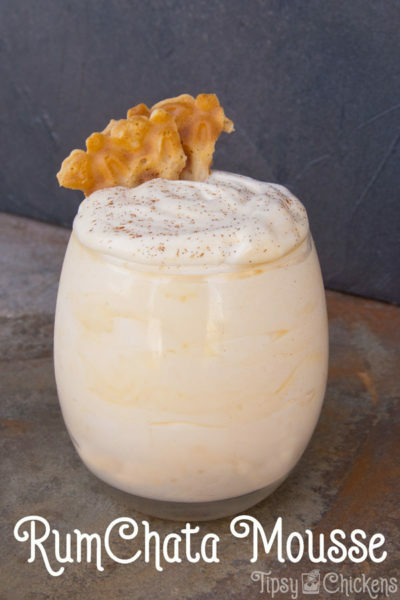 Eggnog is creamy and rich and plays well with all sorts of things like coffee, cheesecake, and more importantly booze. 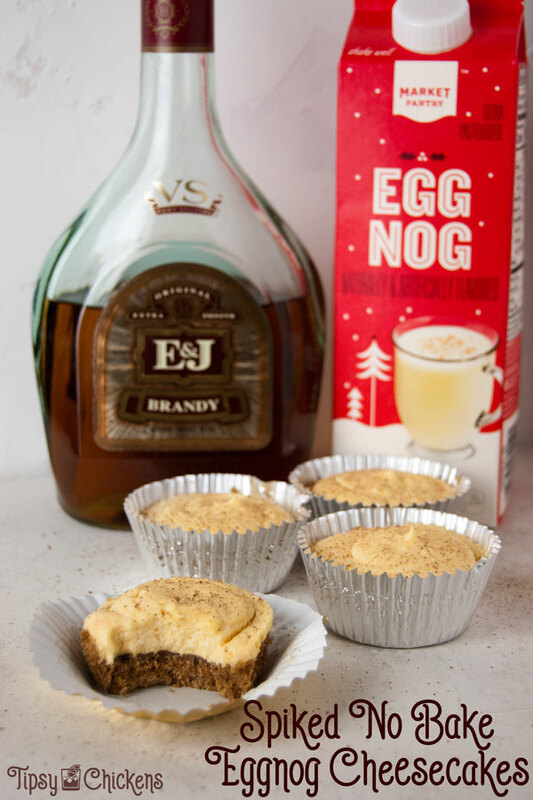 Today we’re making a dozen mini No Bake Eggnog Cheesecakes spiked with a healthy shot of brandy. You can obviously swap out the brandy for whatever booze you like to add to your eggnog, bourbon is another popular choice. A no bake cheesecake is about as simple as desserts go, especially if you have a tiny bit of patience. The hardest part is getting the cream cheese beaten until it’s smooth. I.. failed there. Mostly because I have a gigantic mixer and it struggles with small batches of things but also because I was slowly being over taken by the Thanksgiving Cold of 2018. Before we get there we’ll start with the crust, any good no bake cheesecake crust is made with two ingredients. Butter and cookie crumbs. I’m a fan of an Oreo crust, I used lemon Oreo’s for my Shirley Temple Cheesecake and let me say, that was a delight. 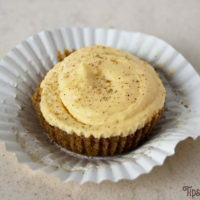 But to really get these mini eggnog cheesecakes into the Christmas spirit I used Speculoos cookies. They’re a spiced short bread that taste like happiness. I found them at Aldi’s. Give them a whirl in the food processor and then pour in the melted butter and mix it up. It will seem like you don’t have enough butter and then it will seem like you have too much but that’s just the nature of the beast. 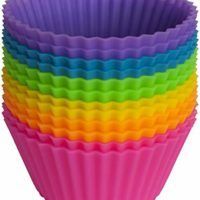 Put 12 cupcake liners in a muffin tin, I like the metal ones because the paper tend to get a little oily after awhile from the butter. Divide the crumb mixture between the cups, it’ll be about 2 tablespoons per cup. These mini cheesecakes do hold their shape quite well once they’ve had a change to set so you could make them in a set of silicone muffin wrappers and pop them out to serve. Now that the really easy part is over we’ll move on the to mostly easy part. AKA my failure. You may notice my cheesecakes aren’t quite as smooth as they would be if I were Martha Stewart or the Food Network. They still tasted pretty damn good though. The biggest tip here is to start with very soft cream cheese, like take it out of the fridge at breakfast and forget about it until after lunch soft. I also have a pretty chilly house so if you believe in indoor heating maybe don’t wait that long. 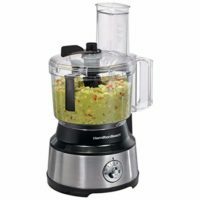 Toss that baby in the bowl of you favorite mixer and turn it on, then let it go for a few minutes, scraping down the sides if you need to. 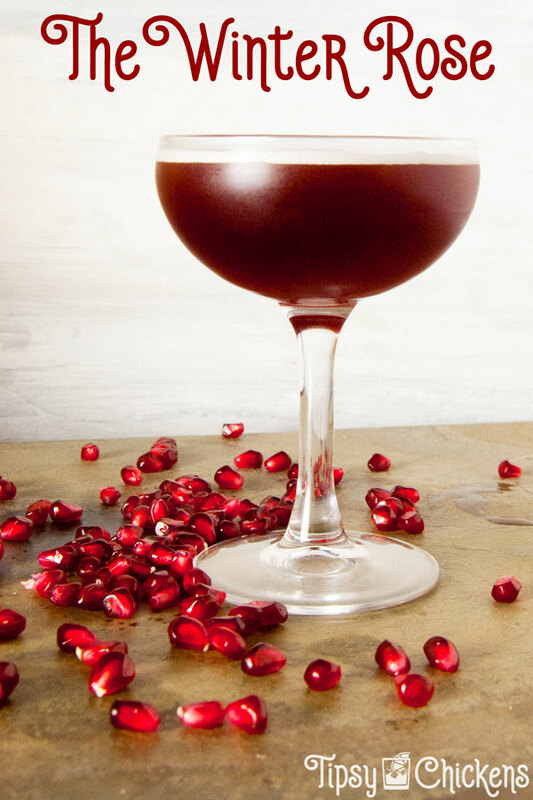 Pour in the eggnog and brandy (or your spirit of choice) and keep mixing on medium low until it’s smooth. If it’s not smooth now it will never be. Dump in the pudding mix and mix until it’s all uniform. If you want to be a little extra spoon it in to a piping bag and pipe the cheesecake into the tins. You can also use a spoon or two. If you have a piping bag or a large ziplock bag try it out, it’s actually way less mess than using the spoon method. Sprinkle with a bit of nutmeg and throw them back in the fridge. They will darken a little as they sit but they will still taste good! 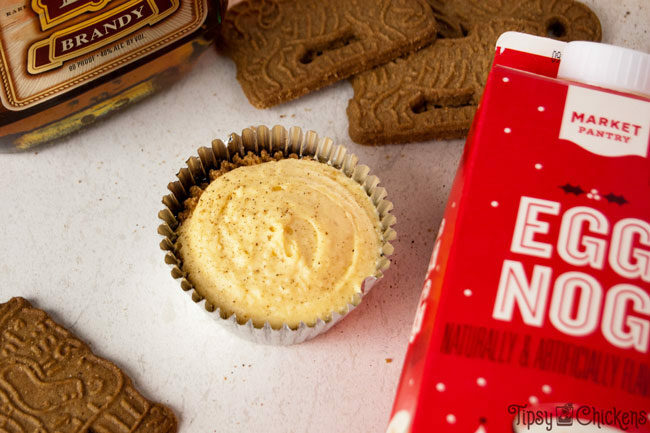 Mini No Bake Eggnog Cheesecake bites spiked with Brandy are one way to get on the nice list this Christmas!